New apartment with independent entrance with a small terrace. On the ground floor there is kitchen with living room and a bed sofa, one double bedroom, one bathroom with bath tub and shower; an internal stairway links the ground floor with a downstairs space, where there is also a toilet. From there you can access the garage that is also independent. The apartment offers all comforts: underfloor heating, air conditioning, completely new & furnished for 4 persons. It is possible to add 2 single beds. 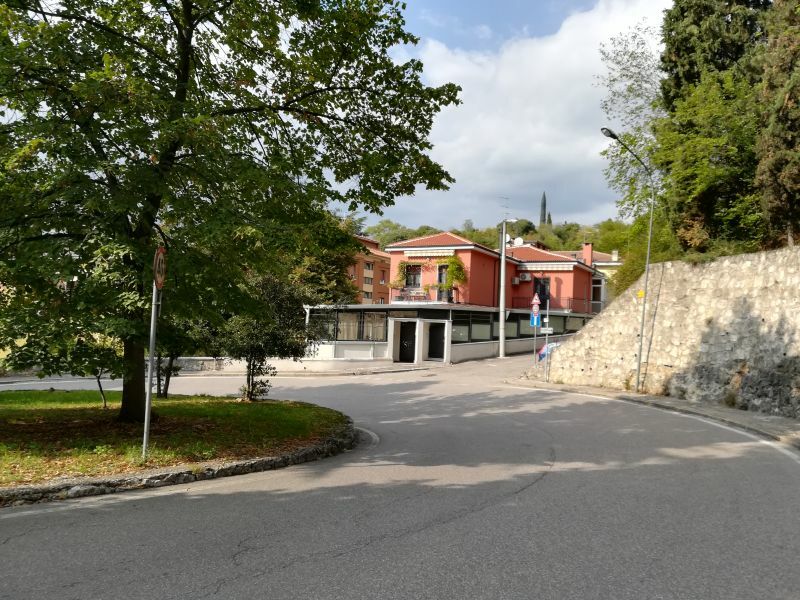 In the neighbourhood of Castel San Pietro (panoramic view over Verona), close to historic city centre (Teatro Romano and Ponte Pietra), you can go on foot; many services (supermarket, shops, bus) and the hospital of Borgo Trento are easily reachable. New apartment, very well equipped - air conditioning, private car park, appliances complete kitchen, washing machine, ... - great location - 7 minutes walk from the Stone Bridge, 5 minutes walk to a playground for children - in a residential area, very quiet and easy access to also go outside Verona - 20 minutes to Valpolicella valley, 40 minutes to Mantua and Lake Garda, Venice ... 1h15 -; very important too, always available, super friendly owners. Appartement neuf, très bien équipé - climatisation, parking individuel privatif, électroménager de cuisine complet, lave-linge, … - très bien situé - à 7 minutes à pied du Pont de Pierre, 5 minutes à pied d’un parc de jeux pour les enfants - dans un quartier résidentiel, très calme et d’accès facile pour aller aussi en dehors de Vérone - 20 minutes pour la vallée de Valpolicella, 40 minutes pour Mantoue ou le Lac de Garda, 1h15 pour Vénice … - ; très important aussi, des propriétaires toujours disponibles et super sympathiques. Muchas gracias por todo! Hemos estado y muy encantados contentos para vosotros to take huéspedes como en el apartamento. Os esperamos quizás otra vez mas affected by many! Muchas gracias por todo! Hemos estado encantados y muy contentos para tener a vosotros como huéspedes en el apartamento. Os esperamos quizás otra vez mas numerosos!